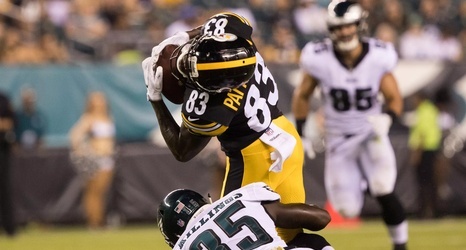 After a disappointing end to the 2017 season for the Pittsburgh Steelers, they opened up their preseason with a resounding defeat of the Philadelphia Eagles. Because of the talent they faced, especially on a team having the depth of the Eagles, it was a very welcome sight to see them play this well. Thus, there are a few things we can take away from this game. We didn’t see the starters much, but a few of them left me either with a positive or negative impression. So here are a few takeaways, 7 to be exact, from the Steelers’ victory.